The Third Edition of Preferred Stock Investing is now available! The Third Edition of Preferred Stock Investing, published a few months ago, includes all of my latest research regarding the market price behavior of high quality preferred stocks. Five new chapters and 70 additional pages use real preferred stocks to show you how to screen, buy and sell the highest quality issues. Chapter 15 lists all qualifying preferred stocks that have been issued since January 2001 and shows you how you would have done by using the investing method described throughout the book for each one. And the book includes all of the websites and other resources that are used to implement the CDx3 Income Engine on your own. The Third Edition of Preferred Stock Investing, the manuscript of which was reviewed by several dozen readers and subscribers before going to the publisher, is my most comprehensive work yet and it is now available at your favorite online retailers (see retailers | see reader reviews). Since the March 9, 2009 lows, the average market prices for the highest quality preferred stocks are now up 107%. That's approaching twice the recovery that common stocks have seen as measured by the S&P 500 index. The S&P 500 index is up 59% over the same period (see Chart 1). As dramatic as the price recovery in the preferred stock market has been, there is still more upside left before the crisis-caused excess yield has been squeezed out. Specifically, as of the end of January 2010, market prices for the highest quality issues have to increase another $1.85 per share before we can say that investors are pricing such shares at their pre-Global Credit Crisis levels (May 2007). How Did I Get That Number? Economic recoveries generally happen in three broad phases - (1) market recovery then (2) real estate recovery then (3) jobs recovery. Investors are motivated to get in early so the market usually recovers first. But jumpy investors usually start with the lowest-risk alternatives first; namely, the highest quality bonds and preferred stocks. 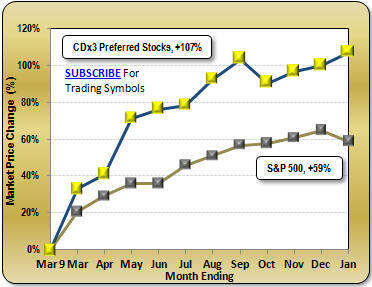 As I illustrated in the December 2009 issue of the CDx3 Newsletter, this recovery has been no different. As Chart 1 here clearly shows, investors returning their cash to the market have favored high quality preferred stocks over common stocks (as measured by the S&P 500). While Chart 1 shows us how far preferred stock market prices have come since the recovery started on March 9, 2009, we need to look at another chart to see how much market price upside is still left (i.e. how much of the crisis-caused excess yield still exists in the marketplace for preferred stocks). The CDx3 Perfect Market Index is a proprietary metric that allows us to directly observe four aspects of the marketplace for the highest quality preferred stocks: (1) the type of market (one favoring buyers or sellers), (2) the depth of the market (how far away we are from a baseline "perfect market"), (3) the direction of the market (heading away from or closer to a perfect market) and (4) the speed with which the market for the highest quality preferred stocks is moving in that direction. The CDx3 Perfect Market Index moves in the same direction as yield, so when prices go down the Index goes up. The Index will have a value of 100 when the average market price for the highest quality preferred stocks ("CDx3 Preferred Stocks" - see the sidebar at the top of this CDx3 Newsletter) is $25.00 per share (par value, a perfect market). You can clearly see the onset of the Global Credit Crisis in Chart 2. The pre-crisis (late May 2007) average market price for CDx3 Preferred Stocks was $25.00 per share. At the end of January 2010, the average price was $23.15 per share. While the price recovery since March 9, 2009 has been spectacular, we're not done yet. 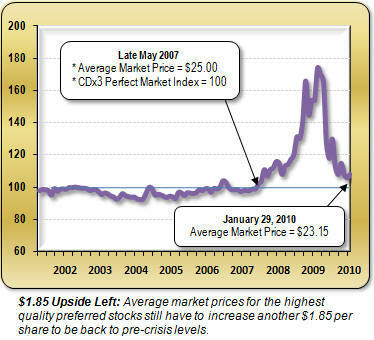 For the average market price of CDx3 Preferred Stock shares to reach $25.00 (their pre-crisis level), prices have to come up another $1.85 per share (average). So there is still crisis-caused excess yield (artificially low market prices) in the market for the highest quality preferred stocks. Unless the policies of the Federal Reserve (monetary policy) and/or Congress (fiscal policy) alter the direction of the market, the average market prices of such issues should return to their pre-crisis levels by increasing an average of another $1.85 per share. It is the timing of the Fed's efforts to control inflation that now deserves our attention. Even though the Fed stated just a couple of weeks ago that they do not intend on increasing interest rates for "an extended period," the Bureau of Labor Statistics reported on January 15 that inflation has now exceeded the Fed's 2% ceiling. December's inflation value came in at 2.72%. If the Fed starts increasing interest rates it is likely that yields on bank CDs, corporate bonds and preferred stocks will follow suit, especially if the crisis-caused excess yield has been eliminated by the time the Fed acts. Until the Fed starts increasing interest rates, which many analysts are not expecting until late-2010 at the earliest, the crisis-caused excess yield should continue to be taken out of the market for the highest quality preferred stocks (i.e. continued price increases). When average market prices are less than $25.00, preferred stock investors are scooping up high quality preferred stocks at bargain prices. The current $23.15 average market price represents a buyer's market so preferred stock investors are currently building their preferred stock portfolios with high yielding, high quality issues at dirt cheap prices (the ending January 2010 average annual yield of CDx3 Preferred Stocks was 7.9%). 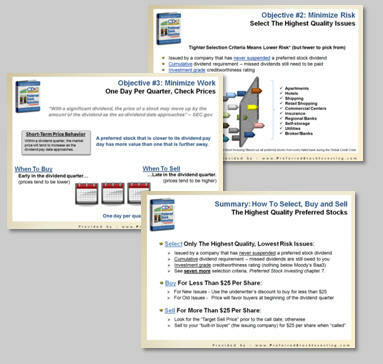 My book, Preferred Stock Investing (see retailers | see reader reviews), explains how to select, buy and sell the highest quality preferred stocks. All of the websites and other resources that you need to do so are included in the book plus a list of all CDx3 Preferred Stocks that have been issued since January 2001. 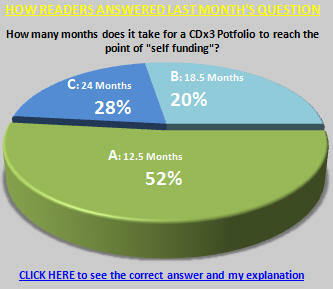 If you would rather someone else do the research, I offer the CDx3 Notification Service (see reader comments). Subscribers to the CDx3 Notification Service receive an email message when there are buying and selling opportunities coming up. We do the research and calculations, you make the decisions. 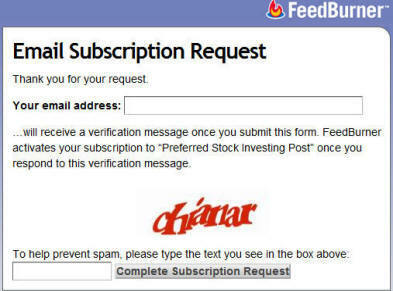 To ride the recovery wave using the highest quality preferred stocks please consider subscribing to the CDx3 Notification Service today. A few weeks ago subscriber's to the CDx3 Notification Service (my preferred stock research and email alert service) received the latest version of their exclusive website. Version 3.0 of the subscriber's website provides subscribers with the most comprehensive resource available for preferred stock investors. The design of the new subscriber's website is a direct result of specific input from subscribers through our Continuous Improvement Program. 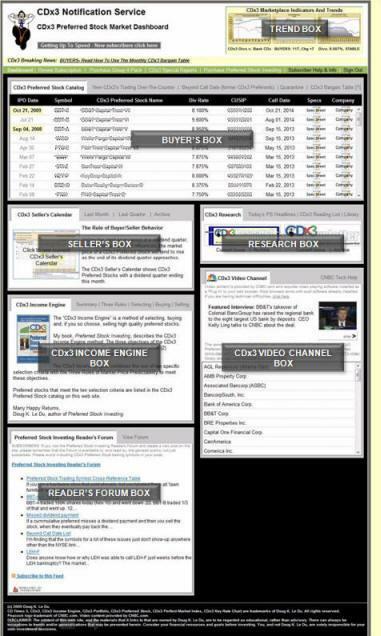 The subscriber's website is the vault within which I keep research information regarding selecting, buying and selling the highest quality preferred stocks ("CDx3 Preferred Stocks"), the companies that issue them and the marketplace that they trade within. CDx3 Video Channel Box: presents CNBC video interviews with the CEO's and other leaders from the companies that issue CDx3 Preferred Stocks. Take A Tour: The new website's Tutorial has several components to it, including a description of the site's features. I have made a copy of the website's feature tutorial available to you. Click on the below link to take a quick tour of the new subscriber's website Dashboard. Preferred stock research is very hard to come by. The service is intended for individual investors as well as groups (investing clubs, brokers, families or groups of friends) and all information is provided in plain English for non-experts. If you want to get serious about your preferred stock investments, maybe it's time for you to subscribe to the CDx3 Notification Service too (see reader comments). Kimco Realty is the nation's largest publicly traded owner and operator of neighborhood and community shopping centers. Kimco is a $4.8 billion Real Estate Investment Trust (REIT) founded in 1960 and is headquartered in New Hyde Park, New York. Kimco's strategy is focused on domestic shopping centers located in densely populated areas with limited available land for competition. Internationally, most of Kimco's growth is a result of several successful acquisitions. Kimco's centers are anchored by established tenants with long-term leases. Kimco's top five tenants are Home Depot, TJX Companies (TJ Maxx), Kmart/Sears Holdings, Kohl's and Wal-Mart. Wal-Mart's continued expansion of its business during this economic slowdown has helped Kimco increase its total revenues 12% during 2008 and 1.3% during 2009 while many of its competitors saw reductions. While occupancy at Kimco centers has fallen slightly to about 92.3% (91.9% in the U.S.) from 95.3%, 2009 rents on new and renewal leases actually increased by 1.3%. At the end of 2008, Kimco had interests in 1,950 properties, totaling approximately 182.2 million square feet of gross leasable area located in 45 states, Canada, Mexico, Puerto Rico, Brazil, Chile and Peru. Kimco's neighborhood and community shopping center properties are designed to attract local area customers and typically are anchored by a discount department store, a supermarket or a drugstore tenant offering day-to-day necessities rather than high-priced luxury items. "In early April 2009, management announced a series of steps that we think will greatly enhance the trust's liquidity and lessen concerns about its near-term debt maturities. At the end of the third quarter, Kimco had $317.3 million and $673 million (including its pro rata share of joint venture debt) of debt maturing in the remainder of 2009 and in 2010, respectively. We believe that the company has sufficient liquidity to meet its obligations. Sources of liquidity include about $360 million in cash at the end of the third quarter, availability under its credit facility as well as proceeds from debt and/or equity issuances. Further, we believe that management could potentially sell properties to its investment partnerships." To see if you shop at a Kimco shopping center click here. Kimco held its Q4/2009 financial results conference call yesterday (February 3, 2010). Press reports including the results should be available by the time you read this. You can see more information regarding Kimco Realty Corporation, including recent press coverage, by clicking here. Preferred stock distributions that you receive from a REIT throughout the year are taxed as what kind of income? - Preferred Stock Investing Reader's Forum. CDx3 Preferred Stocks are issued by companies from ten different industry segments (Preferred Stock Investing, page 135). Some of these companies are classified for tax purposes as "Real Estate Investment Trusts" (REITs). As we work on our 2009 tax returns, it is important for preferred stock investors to have a sense for how REITs report the quarterly dividend distributions that you enjoyed last year. REITs are real estate-related companies that are required to distribute at least 90% of their earnings each year to the company's shareholders (the IRS then collects the taxes from the shareholders). These distributions are typically made in the form of quarterly dividend payments to shareholders throughout the year. If the REIT can meet the 90% distribution requirement by paying just their preferred stock shareholders, there is no requirement for them to pay common stock shareholders whatsoever. Consequently, preferred stocks are very popular with REITs. Preferred stock investors often hold preferred stock shares issued by REITs due to this popularity. A REIT, like all companies, generates earnings throughout the year from a variety of sources. There's the ordinary income it generates, usually in the form of rents on its properties. But if a REIT sells a building during the year, and realizes a capital gain (i.e. they sell a building for more than they originally paid for it), a portion of their earnings for that year is going to be in the form of a capital gain as well. Let's say that a REIT sells a building in November and that, come year-end, most of that year's earnings come from the capital gain they make on the sale. The quarterly distributions that you have been receiving all year long have been reported to you by your broker at the time of each distribution as "ordinary dividend" income. But if the REIT's earnings came from a capital gain, aren't preferred stock shareholders really receiving a distribution of capital gain income rather than dividend income? The question this month for preferred stock investors: Preferred stock distributions that you receive from a REIT throughout the year are taxed as what kind of income? (D) all of the above depending on how the REIT made its earnings. If you hold preferred stock shares issued by a REIT you should not be too quick to file your tax return because the answer to our question is (D). When a REIT makes distributions to you throughout the year, they have no way of knowing what the composition of their earnings is going to be come year-end (they might sell a building on the last day of the year and realize a big capital gain). So, as distributions are made each quarter to you they are temporarily classified as "ordinary dividends" and reported to you as such by your broker throughout the year. But once the REIT puts their end-of-year financial statements and tax returns together, they have to go back and reclassify the quarterly distributions that they made to you to reflect where the REIT's earnings actually came from for the year (see example from Kimco Realty). The amount of money you earned does not change, just how that money is classified for tax purposes. Your broker is required to provide you with a 1099-DIV form by February 1. But be aware that many times your broker will not have all of the information from all REITs by then. In that event, they may issue a preliminary 1099-DIV form by the February 1 deadline, then issue you a corrected version a few weeks later. Finalized 1099-DIV forms are not due from the issuer to the IRS until March 15 (assuming that they are submitting them electronically). Because REITs have until March 15 to finalize their 1099-DIV information, it is not unusual for preferred stock investors to receive a preliminary 1099-DIV by February 1 then receive a corrected version several weeks later. If you already filed your taxes using the original preliminary version, you may have to file an amended tax return. To avoid having to do so, you should discuss the notion of delaying your tax return until mid-March with your tax advisor. Own REIT Preferred Stock Shares? Readers do not have to wait until next month's issue of the CDx3 Newsletter to stay plugged into the market for high quality preferred stocks. Preferred stock research articles, marketplace observations, questions from readers, preferred stock news from the financial press and other information are posted to the Preferred Stock Investing Reader's Forum (my "blog") throughout the month. You are also invited to visit the Forum and comment on my articles or the comments and questions posted by other preferred stock investors. Until Fed Chairman Ben Bernanke raises interest rates (his primary tool for fighting inflation), the market prices of CDx3 Preferred Stocks are likely to continue to increase until the crisis-caused excess yield that they are still paying is squeezed out - a process that has been underway since March 2009. But Bernanke cannot increase interest rates without causing layoffs; the economy is still too fragile. With our unemployment rate at 10.0%, Bernanke has his hands tied. Until the Legislature enacts aggressive fiscal policy that effectively deals with unemployment, Bernanke is much more limited in what he can do on the monetary side to fight inflation. The annual State of Union address kicks off the federal budgeting process, with the President following up the address with a written budget proposal that the Legislature uses as a starting point for their annual budget deliberations. 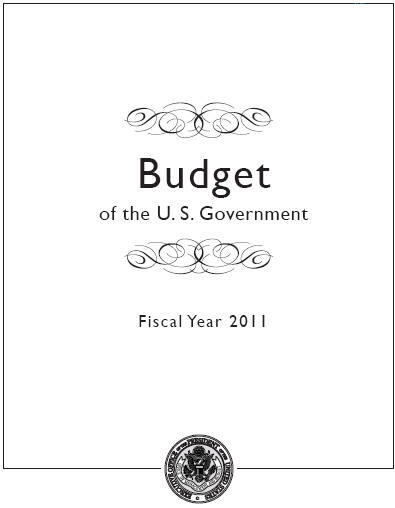 The President delivered his budget proposal to Congress on Monday, February 1. It was disappointing to learn that under the President's proposal, unemployment is expected to remain virtually unchanged for two more years. If the measures within the proposal are enacted and all assumptions prove to be correct, the document forecasts an unemployment rate by the end of 2011 of 9.2% (page 177). The implication here, while positive for preferred stock investors looking for continued price improvement for their CDx3 Preferred Stock shares, is that the Fed is going to have to try and fight off inflation without its major weapon. Seeing that 9.2% number in the President's budget proposal must have really taken the wind out of Bernanke's sails. Hopefully, as its budget deliberations unfold over the next several weeks, the Legislature can take a more proactive approach to improving our employment climate.